A multi-lingual audio guide, unique to Northern Ireland is being installed at the world famous tourist attraction, The Gobbins, to welcome international visitors. This bespoke system includes tour guide hardware, audio guide handsets for foreign language visitors, foreign language audio guide platform and audio guide content in English, Spanish and French. It is expected to be completed in the next couple of weeks. Since opening, more than half of all visitors to The Gobbins have travelled from outside Northern Ireland. Given the high proportion of international visitors to The Gobbins and the nature of the tour, a multi-language solution will improve the quality of the visitor experience and is considered by Tourism Ireland and Tourism Northern Ireland as a ‘must have’ in relation to an international attraction. Visitors will be able to download audio content onto their own devices. “We welcome visitors from all over the world and this will allow them to have a thoroughly enhanced, enjoyable time here at this stunning attraction. 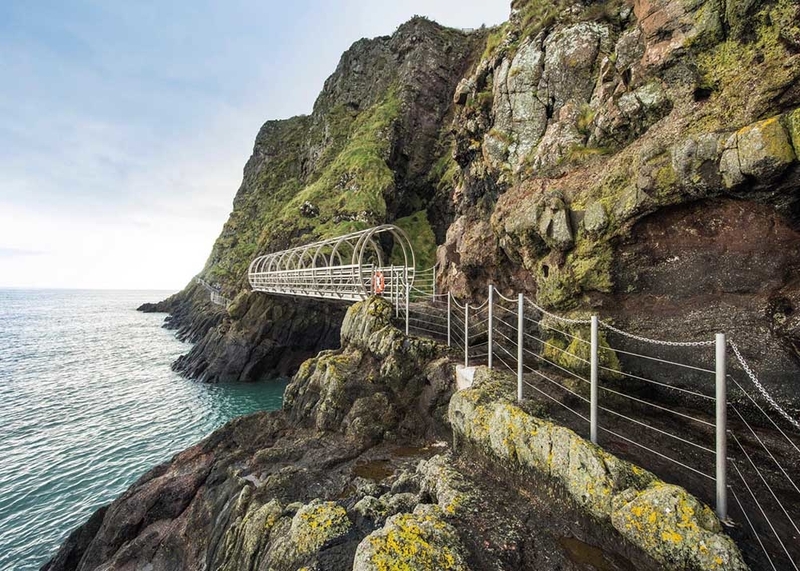 “The Gobbins walk continues to wow visitors from home and abroad with its winding route along basalt steps, over the iconic tubular bridge, and even under the sea in places.